2nd July: 09:00 a.m. to 06:30 p.m.
3rd July: 09:00 a.m. to 06:30 p.m.
4th July: 09:00 a.m. to 05:00 p.m.
Bombay Exhibition Centre is located at a distance of 9 kms north from Santa Cruz domestic airport and Chhatrapati Shivaji International Airport. . Visitors should take the Western Express Highway from the airport towards Dahisar. As you drive forward, climb the Andheri flyover but do not climb the flyover known as JVLR flyover. Instead go forward from its left side and take the service road from the second traffic signal, which straight leads to Bombay Exhibition Centre. (Please see the map 2). 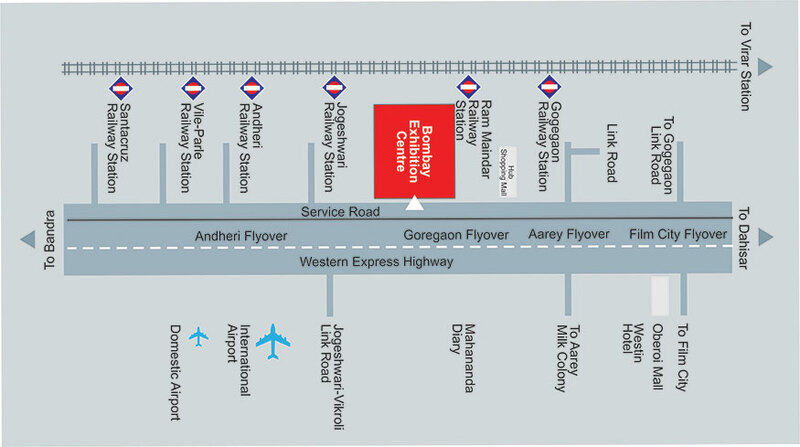 Bombay Exhibition Centre is located before Hub Mall and is clearly visible from Western Express Highway. 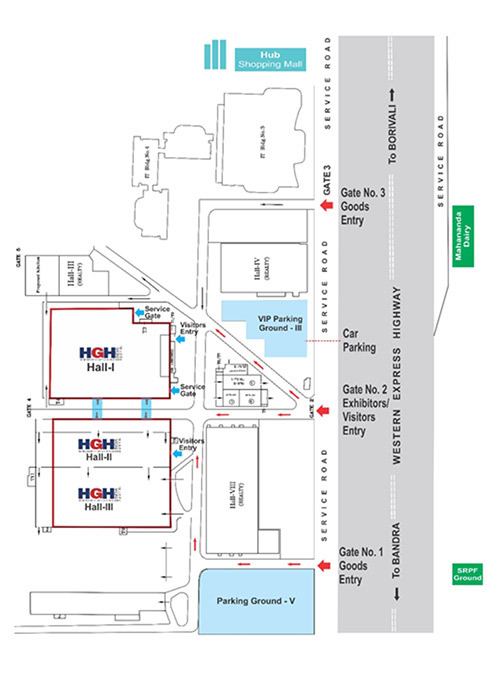 Moreover, you will find HGH India entry gate on this route, which is easily identifiable. 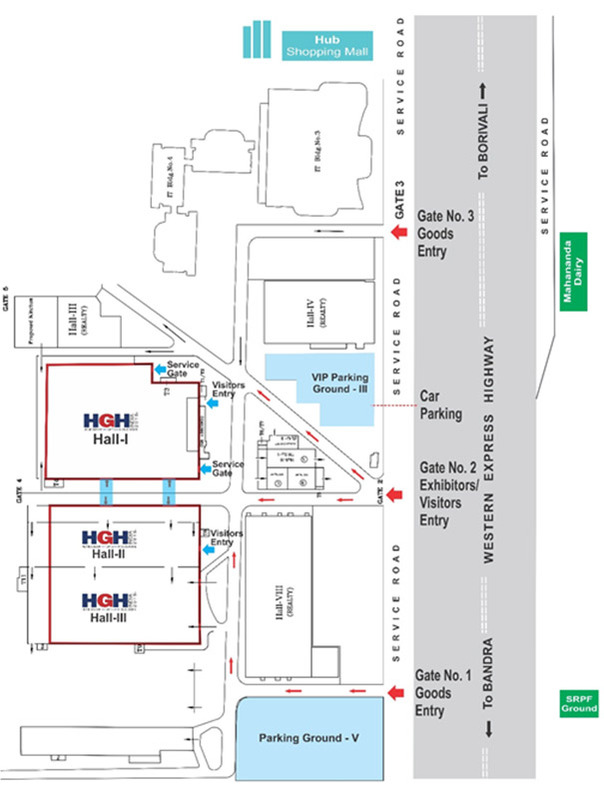 Exhibitors should enter through Gate1 and visitors should enter through Gate 2.Both these gates lead to Hall 1and Hall 2. Goods are allowed to enter from Gate 1 only.